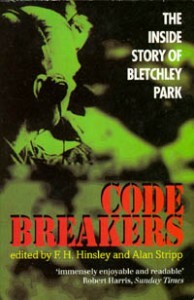 Code Breakers: The Inside Story of Bletchley Park edited by F.H. Hinsley and Alan Stripp — A collection of memories by people who worked at Bletchley Park. Some of the stories are very technical, but it gives an good day-to-day idea of what it was like to work there. There were many codes needing breaking many from Gernmany and from other countries too. Not all the codes were transmitted through Enigma either. In World War I, the British used the Playfair Cipher, which the German’s broke. So codes are used with the realization that they will be broken. It’s just a question of when and how soon the next code is adopted. Also the code from Enigma machines was used for at least 15 years before World War II. Much of the initial breaking of the code was done by the Poles. Britain developed methods and technologies to quickly break the codes and respond with that intelligence. Some of the biggest advantages were in fighting Rommel in North Africa. Fooled by Randomness: The Hidden Role of Chance in Life and in the Markets by Nassim Nicholas Taleb — This was published in 2001 before he became popular with The Black Swan: Second Edition: The Impact of the Highly Improbable. I agree that much of what is predictable and measurable as signs for success might really be random luck. It doesn’t mean that factors such as education, careful and reflective aren’t important, but just be aware that there are many more factors that are random. From this book, I went to to his latest book. Antifragile: Things That Gain from Disorder by Nassim Nicholas Taleb — This one felt long on preaching and less on actionable items. He also branched into lots of areas from medicine to U.S. foreign policy to modern professionals, especially economists. He also is no fan of journalists and stock analysts. I liked the story that the less popular journalists, such as radio journalists compared with TV, the more likely they were to have read and tried to understand his books and message. His books remind us to be more skeptical and remember there’s always a lot more noise than important information. I really wonder if he’s able to stay away from the news media as much as professes. He may need those frequent injections of anger the way some need their morning cup of coffee. 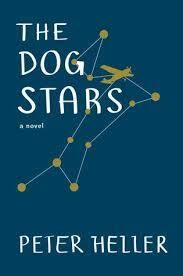 The Dog Stars by Peter Heller — I’m a fan of apocalypse novels. While I was reading this, I also saw World War Z. Apocalypse novels do make us realize how thin the threads of civilization are and make me wonder if I would even have the chance to be a survivor. This story is told in the first person and it can take a little to get the flow of the narrative, but it is a good story. The story takes place nine years after a pandemic infection. I wonder if the conditions described in the book would take nine years to reach. From One Second After, I don’t know how long modern society could really last. Gasoline goes bad, which is acknowledged in the book, but so many other things would break and fail and little way to keep them going. Would the knowledge be really lost or would there be just enough to let us, or them, survive? That’s the trickiest balance of all. These books have to believe there is hope, and I guess I read them with that same hope. Traveling and vacation created the free time to finish all these books this month. These were a combination of physical books and electronic editions.